Life is just a little bit better while soaking it in through the windows of a Jeep SUV. At Sunset Dodge Chrysler Jeep Ram FIAT in Sarasota, Florida, we're loaded with Jeep lease options ideal for anyone looking for a new model year in and year out. Lease options typically require a lower monthly payment and lower initial down-payment, which means you can get more for your money. Plus, you can avoid the costly repairs that come hand-in-hand with ownership, since a new Jeep lease is under warranty. However, Jeep leases are more suited to drivers that don't exceed a 12,000 mile limit each year. To learn more about our current Jeep lease offers, reach out to our Sarasota, FL auto dealership today. With a Jeep lease, the entire lineup at Sunset Dodge Chrysler Jeep Ram FIAT in Sarasota, FL is up for grabs. That includes the iconic Jeep Wrangler, an SUV crafted for off-road journeys and highways cruises with the top down and the doors off. 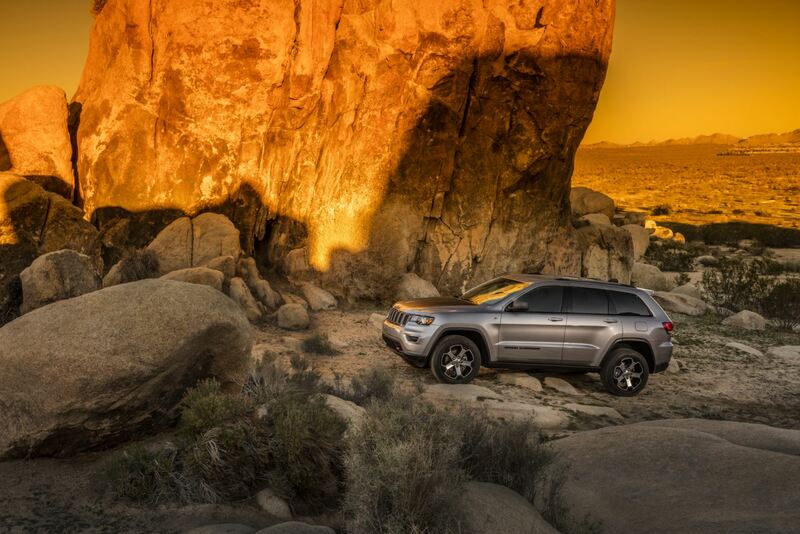 Another icon, the Jeep Grand Cherokee, is built with luxury in mind and is the perfect compliment to adventure-ready drivers looking for a night out on the town. In need of something a little more compact? The Jeep Compass is a commuter-friendly 4x4 ready to give you exactly that. Come by today to schedule a test drive and see these stellar Jeep SUVs for yourself! We get it, price matters. That's why a Jeep lease from Sunset Dodge Chrysler Jeep Ram FIAT in Sarasota, FL is worth considering. In addition to taking advantage of these driver-friendly offers, we'll work with your credit history and estimate any trade-in value you bring in, all to ensure the lowest possible monthly payment for you. Get the Jeep leasing process started today with a trip to Sunset Dodge Chrysler Jeep Ram FIAT!